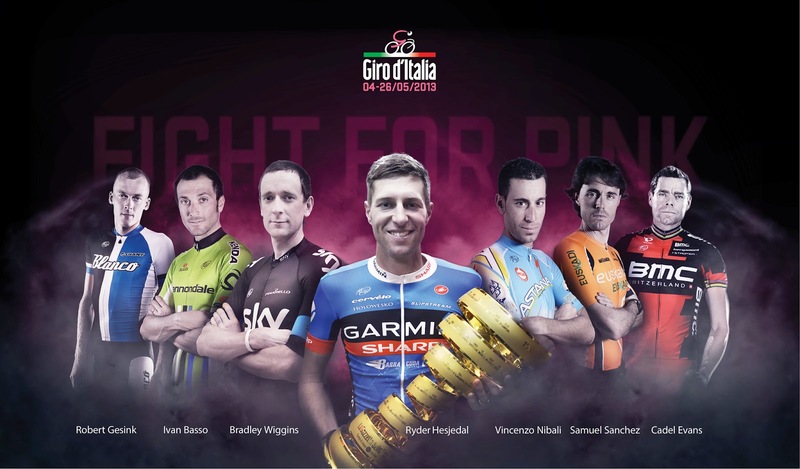 We are five days away from the start of the 96th Giro d’Italia, Saturday, May 4th until Sunday, May 26th, from Naples to Brescia. The potential contenders to wear the Maglia Rosa could be last year’s winner, Canadian Ryder Hesjedal, British rider Bradley Wiggins, Italian Vincenzo Nibali, the Spaniard and former Olympic champion Samuel Sanchez, Ivan Basso, Cadel Evans from Australia and the Dutch rider Robert Gesink. Amongst the starters will also be the first Chinese rider in the Giro: JI Cheng of Team Argos Shimano. Dear God I hope Brad tires himself out in the next three weeks, that business with claiming leadership of Sky for Le Tour over Froome really isn't on.